New developed engine software is copied by other people. To fix this annoyance, we dealt with this problem. The answer was: KEY. Today it protects the engine software of many well known tuners. 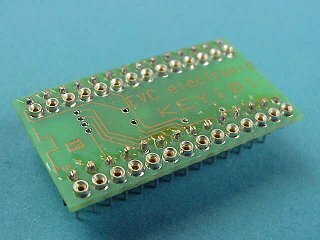 In those days there were only 8 bit DIL eproms built in engine controllers and only one type of KEY module was sufficient. 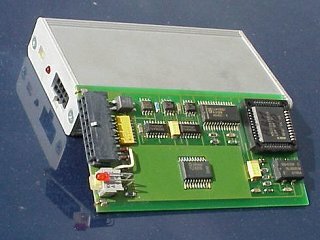 Today our product range is increasing because of the use of 16 bit technology and other types of eproms. Later we became fair to the demand for a powerful chiptuning development system, at first with our OLS-Software running under MSDOS. Our challenge was the integration of all required hard- and software components under one surface, so that only one application was needed in the practical operation. We mastered this challenge and used the knowledge that we gained in this project as a base for our new software WinOLS. The variety of different functions exceeds all other comparable programs by far. In addition we offer solutions for your individual problems, for example the removal the speed limit. We can provide a large know how in the microcontroller development and PC programming. Here we have considerable expertise in the microcontroller system development and in the PC application programming. We have some hardware platforms, on whose base we are able realize customer specific projects in a short time. A prototype of our product OLS300 while in development.